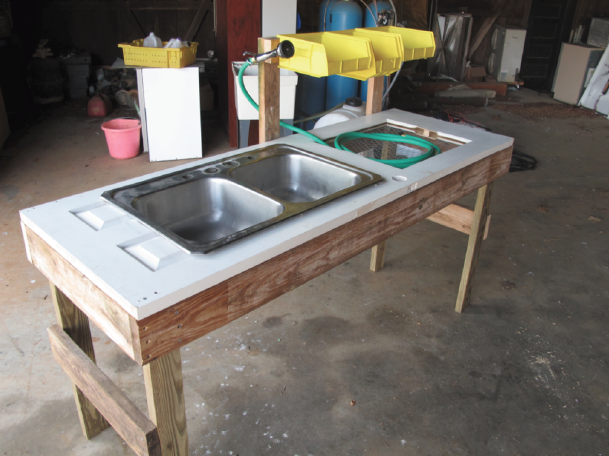 An open-source root washer that can be built sturdily with NO WELDING. Thanks to SARE for helping make this project happen! 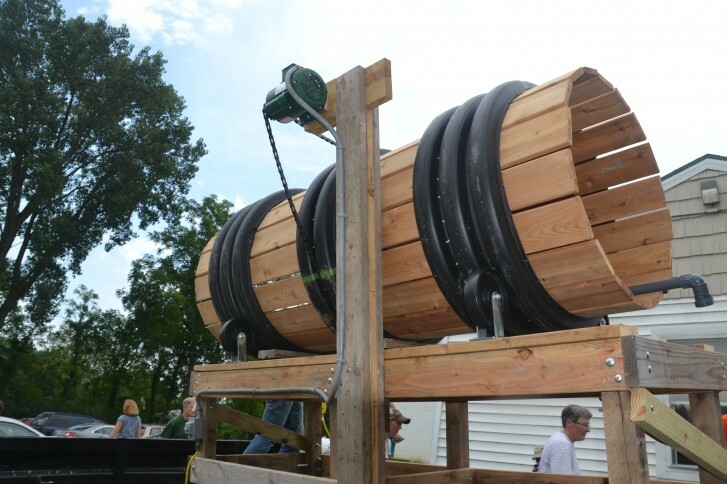 As a part of the Morven Summer Institute, a group of students from the University of Virginia created this Vegetable Washing Station in order to aid small farmers in harvest efficiency. The station is meant to be in or near the field in order to streamline the harvest-to-market process and help with the negative affects of vegetables wilting due to field heat. 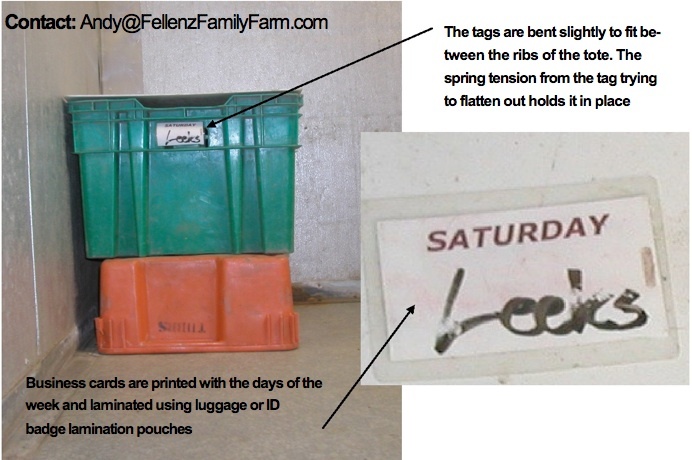 The Vegetable Washing Station and How-To Guide were created by Jenna Godfrey, Doug Beach, and Cristina Maldonado at the Morven Summer Institute in 2011.
quickly and easily inventory contents of walk-in cooler and identify harvest date for all produce in cooler. 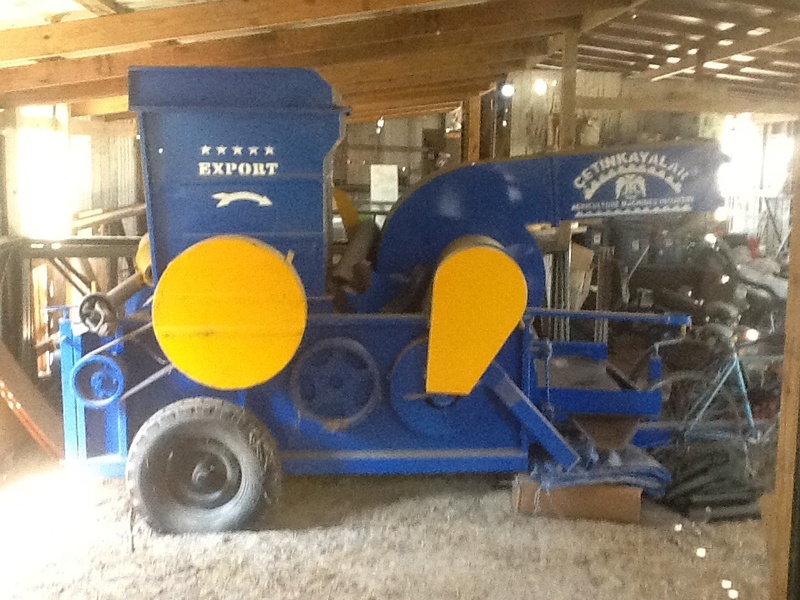 This material handler design, created at this year's Farm Hack in Davis, CA, consists of a vacuum system to lift grain from a truck into to hopper below the vacuum unit. The vacuum unit is located above the machine of intended use (a grain cleaner for example). Once the vacuum hopper fills up, the vacuum is turned off and then a gate at the bottom of the vacuum hopper is opened and the grain falls down into the hopper of the grain cleaner. Areas left for research include: vacuum type, vacuum hopper geometry, vacuum hose type, automatic shut-off to prevent vacuum motor overheating, and dust safety considering static electricity. Vacuum systems like these are currently used in wood production and water related industries. An organizational tool for connecting folks working remotely from a number of locations. Regular google hangouts. Ask to be invited to join us! Farmer Foodshare is a food system "hack" to solve the simultaneous problems of farm waste/excess production, farm product marketing and community malnourishment. Farmer Foodshare (the organization) is a nonprofit in NC that created a set of open source approaches and inexpensive tools (marketing, wholesale distribution models) that link excess (or expanded) farm production with people who are in dire need of fresh healthy, food and community nourishment. 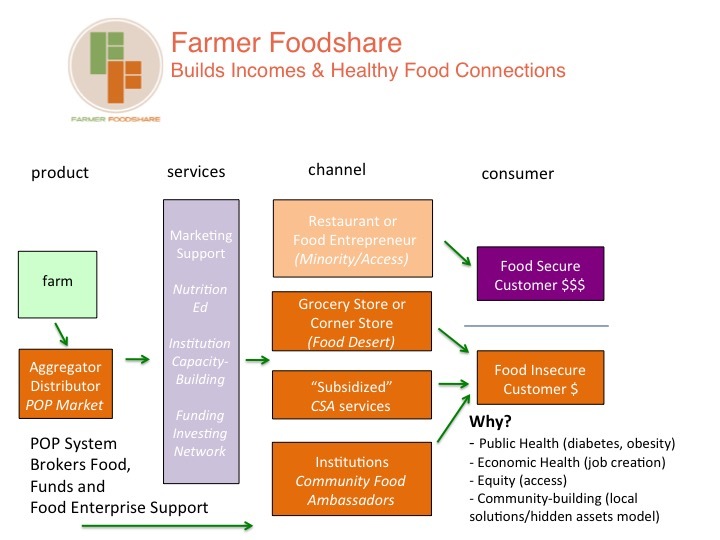 The FF approach relies on 1) local food producers, 2) farmers markets or online hubs, 3) distribution systems (labor, transport, online, tracking), 4) marketing/communications and 5) institutions willing to use and/or buy the food to integrate into their hunger/nutrition and health programming for underserved communities. (Editor's note: I have various .doc toolkits for the "source code/instructions" for the Donation Stations, Food Ambassadors and POP Market models, if anyone wants them. Also have data on $ to farmers and the costs of running these programs, particularly as the programs grow customers and farmers. I would like to use this Farm Hack posting to spur others to contribute their food security systems innovations.